Every month I assemble a seasonal book basket for my kids. 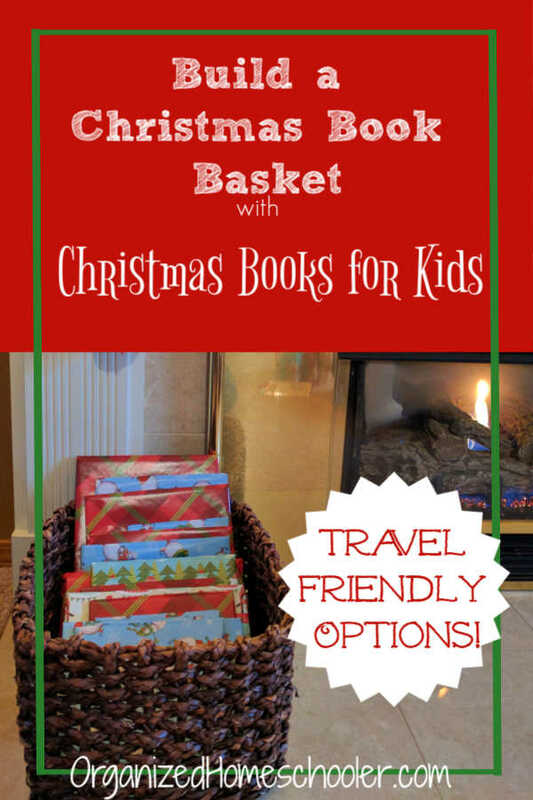 The basket typically contains a variety of books about seasonal topics. My kids are free to read them at their leisure. My December book basket is a little different. Every December I select and wrap 25 Christmas books for kids. Actually, I do this at the end of November so it is ready to go on December 1st. I number the wrapped books 1-25. Hannah and Ben take turns unwrapping the day’s holiday story and we all read it together. 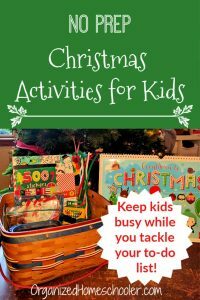 I try to match up book themes with activities from our advent activity calendar. So on Gingerbread Day, we unwrap and read The Gingerbread Man. We have had many of these books for years, but I try to add a new book or two each year. If my kids don’t seem very interested in a book we are reading, I give it away so a new family can read it too. There is no use forcing them to read a book they don’t like when the activity is supposed to be fun. I add new books to our collection through the year. What if we travel in December? Won’t that make it hard to keep up with a daily book? Not with a little planning! Bring books with you. This option works best if you are not limited on luggage space. If you are flying, either pack the books in your checked bags or leave them unwrapped. I have heard that TSA does not like wrapped items going through security. Load up your kindle with digital books. 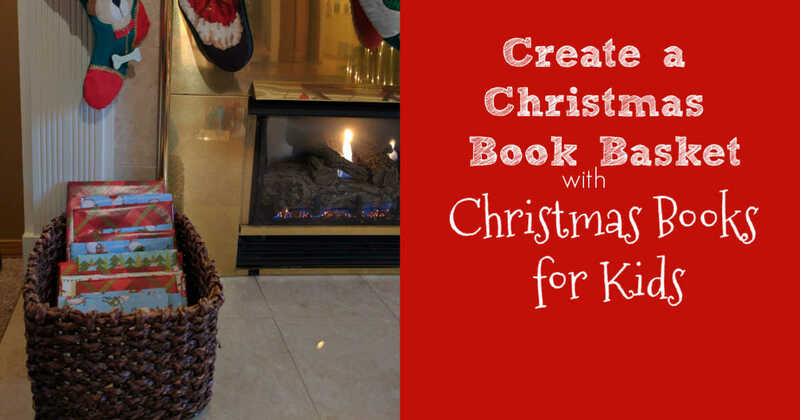 This is a great way to read Christmas books when you are short on space. You can bring a ton of books without any extra weight. Everyone in my family has a kindle and it makes traveling so much more enjoyable. 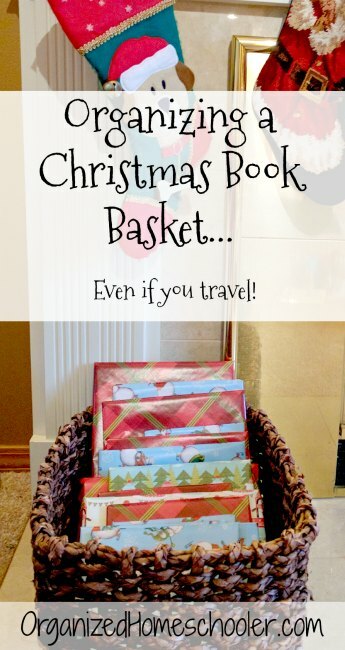 Have Christmas books waiting at your destination. This option is great if you are visiting family or friends. Grandma can swing by her local library and check out a few Christmas stories to read while you are in town. 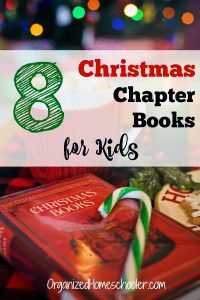 Don’t feel like you need to go out and buy 25 Christmas books! Libraries are a great resource for holiday stories. They tend to be very popular so you might want to reserve a few online ahead of time. I also recommend putting those books towards the beginning of the Christmas book basket so you can read and return so others can enjoy. These are the books that are currently in our Christmas book basket. 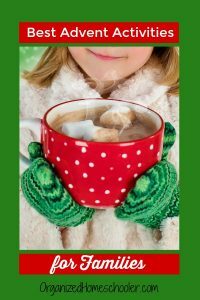 What is your favorite Christmas books for kids?